“You may as well play Paratopic now because it will be one of our favourite games of the year,” I insisted to the assembled masses in the RPS treehouse yesterday, and I’ll say it to you too. I adored the first-person horror game when it first launched in March, going on to call it one of the best games of 2018 so far, and now the Cronenbergian vignette ’em up has arrived on Steam too as a ‘Definitive Cut’. This brings extra oddities to explore and fiddle with, plus a Linux version. Having revisited this expanded world of cursed VHS tapes this morning, yep, it’s still great, and still leaving parts lurking insidiously in my head. 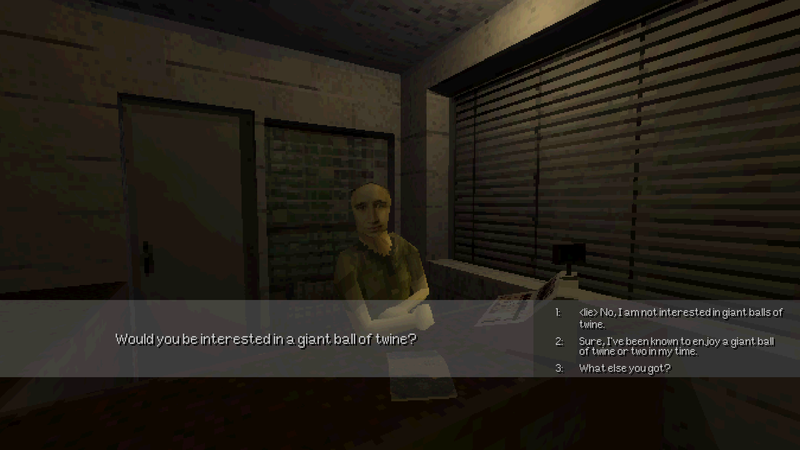 Paratopic is a first-person horror walk-o-poker jumping between three connected stories, set in a terrible shadow of our own world. Everything is run-down, bodies lie in the street pecked at by crows, bad things are in the walls of tenements, the roads are empty, strange abandoned facilities are in the woods, and the world just feels used-up and tired. And off we go into it as a hiker, an assassin, and a smuggler carrying terrible tapes, switching between them at certain points in their stories. I like the driving sections. I like the olde PSone-era look and the tricks it pulls within that. I like the chats which hint at wider oddities, the space they give us to inhabit these people while still fixing them as characters (I really like how we can say e.g. we’re not interested in a giant ball of twine but that option is marked as a lie). I like having a camera (a feature which bumps any game to at least an 8/10). I like the strange and terrible things. I really like the moody music and soundscapes. And I’m glad that Paratopic doesn’t insist upon explaining everything. Strange things exist and strange things happen, and that’s just how it goes. Here is an unreal and terrible world; revel in it. The closer it gets to answering some questions, the more it raises. And that’s great. Paratopic feels coherent, it makes sense within its tone and how it’s framed, and that matters to me so much more than boring lore. This new Definitive Cut includes new objects to click on and fiddle with for funsies (which I am always so into) as well as some new places to poke around in. I’m honestly not certain which parts are new and which I missed the first time, which was a pleasant and spooky mystery for me. I really did enjoy fiddling with new objects, though I got a little carried away with rapid-fire clicking at times. No one heard nothing. You can’t prove anything. 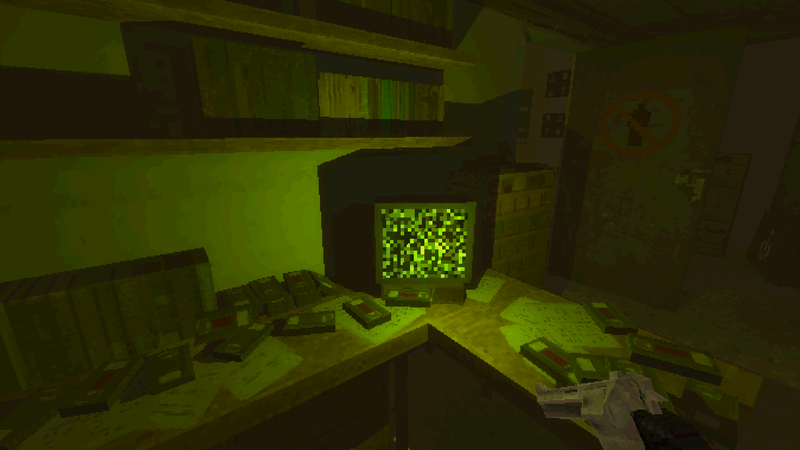 Paratopic is out now on Steam for £4.79/€4.99/$5.49, and still on Itch of course. It’s now on Windows, Mac, and Linux. Folks who bought the original DRM-free release on Itch now have the Definitive Cut there, and should find the option to nab a key to get it on Steam too. It’s made by Jessica Harvey (who, yes, is still working on the amazing-looking Tangiers), Chris I. Brown (aka “BeauChaotica”), and Doc Burford. Illegal VHS tapes and assassins and dream logic.